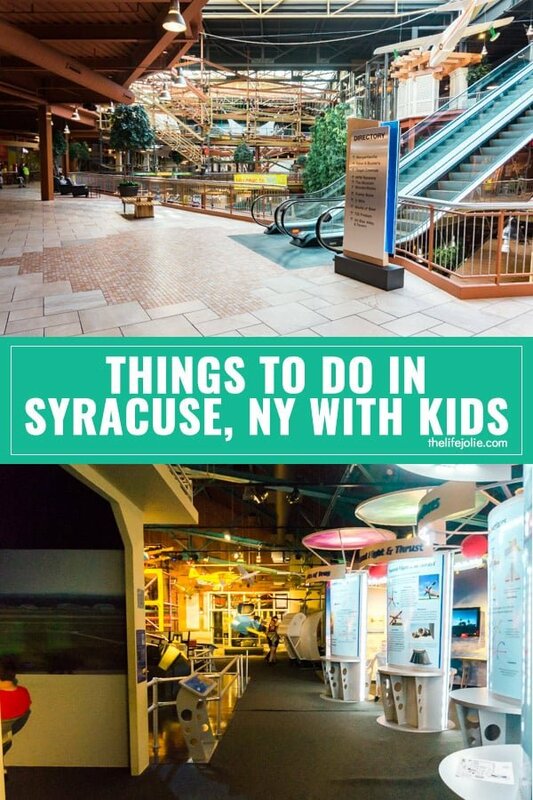 Things to do in Syracuse, NY with kids - a fun weekend getaway in Central, NY! There are so many things to do in Syracuse, NY with kids and I’m so excited to share all the fun things we did! We recently enjoyed a mini getaway in Syracuse, NY which is a little more than an hour away from our home in Rochester, NY. We had a super fun time and were thrilled that there were some many fun things to do in Syracuse, especially with young kids! You probably read my recent post about our stay at the Doubletree by Hilton Syracuse. And now I’m going to fill you in on how we spent our days! We teamed up with Visit Syracuse, which proved to be a fantastic wealth of knowledge when it comes to planning a trip to Syracuse. Although we were limited to two days we managed to pack a ton of fun activities into that time. The activities we chose to check out were based on what we felt would be the best options for our young children, Alice (age 4) and Tessa (age 2). I’ll still detail some of the activities that I hope to do the next time we get to Syracuse (there will definitely be a next time!) but here is what we did. 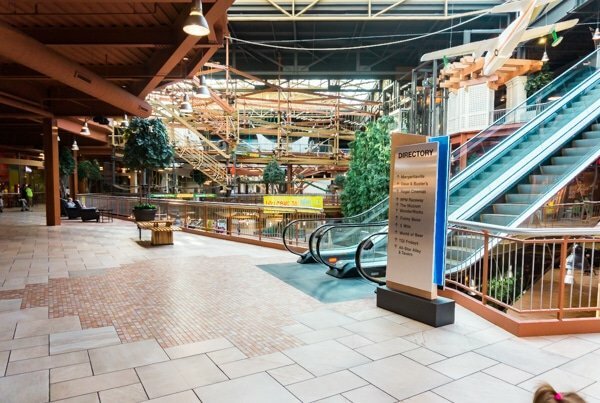 Back in the day when I was a kid, we would make our way out to the Syracuse Mall, but back then it was called the Carousel Mall. While they still have the historic carousel, this is a new and improved mall that is really more of an experience! First off, Destiny USA is New York State’s largest mall, boasting 2.4 million square feet of fun with over 250 places to shop, dine and explore. It’s not just a mall; there’s so much more to enjoy. Now don’t get me wrong, there is some excellent shopping (and naturally I shopped as well!) and of course there’s the Destiny USA restaurants (tons to choose from!). But you’ll also find a slew of activities like indoor go-kart racing, laser-tag, a mirror-maze, simulated rides, IMAX, a winery, World of Beer, the world’s largest indoor suspended rope climbing course; there really is something for everyone. Located on the third level at Destiny USA, Wonderworks Syracuse is really more of an indoor amusement park full of activities for all ages. While there were a few activities and rides that were meant for bigger kids, our girls found so many fun things to do. It’s incredibly interactive and educational but the activities are presented in a really fun way and you can’t help but get involved and explore. Tessa was fascinated by the giant LiteBrite (which was totally one of my favorite toys as a kid!) and spent a ton of time putting different colored pegs into their holes. J also got a kick out of paying homage the the Buffalo Bills on this- sorry Wonderworks! He’s apparently a die-hard Bills fan and the whole world needs to know about it! But I think everyone’s favorite area was the Bubble Laboratory. Although you kids may get a little bit wet, it’s totally worth it to see the look on their faces when you put them inside of a giant bubble! We probably could have spent all day in that area alone, which one of their friendly employees had mentioned to us before we went in. The great thing is that when you buy a ticket, you can use it for re-entry all day long, so you can easily take a break for naps, lunch, checking out other parts of Destiny USA and then return for more fun later. I’m pretty sure Billy Beez was one of my girl’s favorite activities of the trip. This is a huge indoor play arena complete with tons of twisty slides, some really tall straight slides and plenty of areas for kids to climb, crawl and explore. One thing that is pretty cool about this place is it’s designed for adults to be able to participate in every activity with their kids. Now I won’t lie, this totally served as a reminder of just how out of shape I am! But it was also really fun to participate with my kids in the type of playground that parents normally wouldn’t be allowed into and super helpful with Tess, who is still too little to do certain things alone. There’s one area where you can take these foam balls and put them into these air canons that use pressure to shoot foam balls out of it. Our girls both got such a kick out of that and the balls were so light that you could barely even feel them hitting you. Alice also loved the large trampoline that was in there and I loved that it was enclosed and closely monitored by employees (one kid at a time!). This is a total must-hit if you have young kids with lots of energy! We absolutely loved the Rosamond Gifford Zoo! When we were there, they actually had a really fun dinosaur exhibit and had life-size replicas of various dinosaurs all over the zoo. A totally loved it and T was terrified! It was super cool to talk to A about the dinosaurs and to see all the animals. This zoo is laid out in a super logical way and we found it really easy to navigate. It’s a beautiful property in general and has over 700 animals and 275 different species. My personal favorite was (and always will be) the Alpaca! I also loved the Red Panda. The girls got such a kick out of the Asian Elephants. The day we were there the Syracuse weather was unseasonably hot (as in 90+ degrees) and the elephants were splashing around and having a blast in their water hole. They also really loved the penguins who seemed to be loving life as they swam by the various windows, extremely close to where we were looking on. Complete with a cafe, gift shop and plenty of snack and beverage stops along the way, this Syracuse zoo is an excellent destination, where you could easily spend an entire day. Highly recommend! Also known as MoST Syracuse, this museum is an excellent way to ignite a passion for learning through interactive fun. This is also the home of the Silverman Planetarium and the only domed IMAX theater in New York State. I personally enjoyed checking out the Toothpick World exhibit- Stan Munro, an engineer who also lives in Syracuse built models of some of the world’s tallest buildings. This exhibit actually holds two world records! Alice enjoyed looking at Technotown which is a sculpture that I’d describe as a gigantic marble run- she was fascinated watching the ball wind it’s way through. And naturally she was all about jumping on the Gravity Jumper in the Lockheed Martin Flight and Space Exhibit. The only thing that bummed me out is the Science Playhouse, which is a giant 5 level playground was near an exhibit that was extremely loud. The girls were really excited to play in it but the loud noises scared them and they came out just as quickly as they went in. Overall we had a great time. While there is definitely something for everyone and all ages, I think this our girls will definitely enjoy it more when they are a little older. 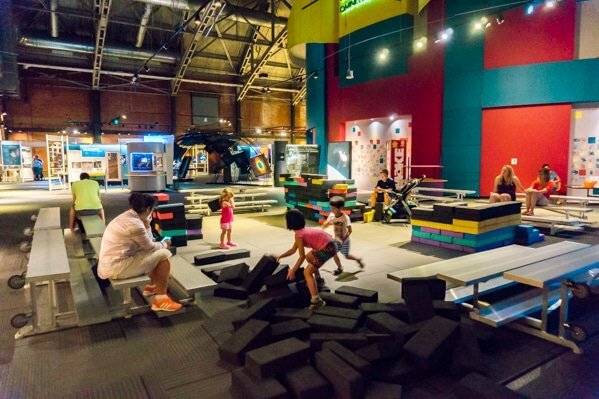 If you have school-age kids, this is a great place for them to explore! While many of our meals were at the hotels that we stayed at (you can see information about our meals at the Doubletree by Hilton Syracuse and I’ll have a review of the other hotel that we stayed at in a few weeks, so stay tuned!) but we had a couple meals outside of the hotels which I’ll share with you below. We enjoyed a lunch at Johnny Rockets on the day that we spent at Destiny USA. This was an excellent option for lunch that day because it right in the same vicinity of our other activities that day and was an all-around kid-friendly place. This was key, particularly at the part of the day that the kids are starting to get a little tired and hangry. Our server was really friendly and really anticipated our needs, which was awesome. She brought us extra napkins without being asked (a must if you have young kids!) and even drew some cute pictures with ketchup on the small white plates for the girls, which they totally enjoyed! The service in general was really fast and efficient. I ordered a BLT and I enjoyed it although it was a tad heavy on the mayo for me but still enjoyable. Justin opted for Chicken Finger which tasted good. A got a grilled cheese and T opted for sliders and they both really enjoyed them. I loved that the fries came out hot, which isn’t always the case at restaurants, especially during lunch hour. The highlight of the meal was definitely the milkshake J ordered- he and the girls all went nuts over it! Overall it was a great experience and we would definitely return. 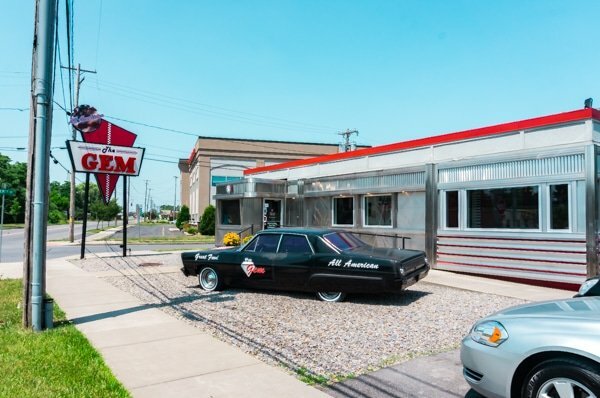 We had lunch at The Gem Diner on the second day of the trip. There were a mix of positives and negatives here. Now, I don’t like to write negative things about the places that we go. 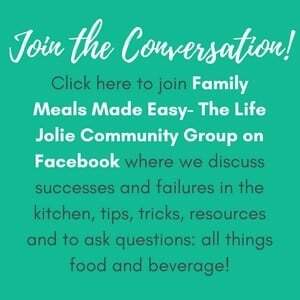 J and I worked in the restaurant industry at various levels for a combined 27 years (14 for me and 13 for Justin) so we try to be understanding of many things when we dine out, because we know what goes on behind the scenes. At the same time, it’s really important to me to always be honest and transparent with you guys. So bear with me here and keep an open mind. Our lunch at The Gem Diner was right after our visit to the zoo. As I mentioned above, this day was unseasonably hot, with temperatures over 90 degrees and muggy. J and I seriously love diners and after being outside all morning, we were all excited to sit down in a cool restaurant and eat. Although the central air at this diner seemed to be on, it was almost as though it was just barely on and it was pretty hot in the entire place. 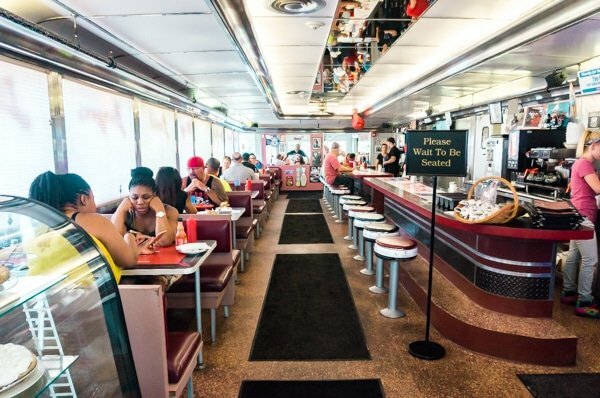 The diner is definitely your classic fifties diner, with all the decor and finishes that you’d expect for this style, which is a lot of fun. It also had a few different spaces for seating, each one with interesting art on the walls. We ate there during lunch hour on a Sunday and it was reasonably busy. Our server was very friendly and especially nice to our daughters. I was a little surprised that she didn’t seem to know what an egg and olive sandwich was. I’ve never been to a diner in Western or Central New York that didn’t know what this is so when she said she had never heard of it I basically said no problem, if they don’t know what it is, regular egg salad is fine. Oddly, my sandwich came out with chopped black olives in there. And while this isn’t typically what you find in egg and olive salad (it’s traditionally made with green olives) I was very appreciative that they tried. The really disappointing thing about the sandwich is that there was barely any egg salad in it. It was basically all bread, tomato and lettuce with a bare-minimal amount of egg salad. At that point I was just so hungry and didn’t want to hold up the rest of the family with waiting for something else to be made, so I ate it and didn’t say anything. Everyone else’s food looked pretty good. Justin had a turkey club that he enjoyed. Alice was thrilled to be able to have pancakes for lunch and T went with sliders once again, which I sampled and thought were tasty. Now I’m not sure if our server went on break, but after she took our orders we really didn’t see much of her. she stopped by once, a a while after we had gotten out entrees and asked how everything was. But in general we didn’t see much of her and also didn’t really see her at the tables around us either. While it wasn’t an overly terrible experience, it also wasn’t great. It’s possible that it was just an “off-day” but to be completely honest, we probably wouldn’t return. Particularly because I’m sure there are many other local places to sample in the Syracuse area. Since we had a limited amount of time, we weren’t able to check out all the activities that Syracuse has to offer. I’m certainly excited to plan another trip back to Syracuse and check out some of these other places to see and enjoy other adventures. Here are some of the other family-friendly activities that we hope to try on our next trip to Syracuse. Get Air Syracuse is apparently one of the largest trampoline parks in the world. 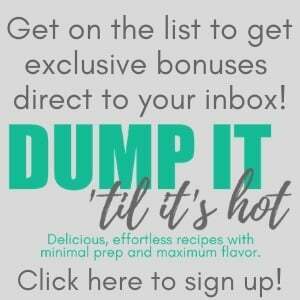 That’s pretty much all my girls will need to know!! Green Lakes State Park is best known for it’s glacial lakes that appear a gorgeous green color at certain times of the year. It also boasts an 18 hole golf course, boat rentals, camping, nature trails, disc golf, hiking, cross country skiing and more! If you happen to be visiting around the end of August/beginning of September, you cannot miss the New York State Fair. 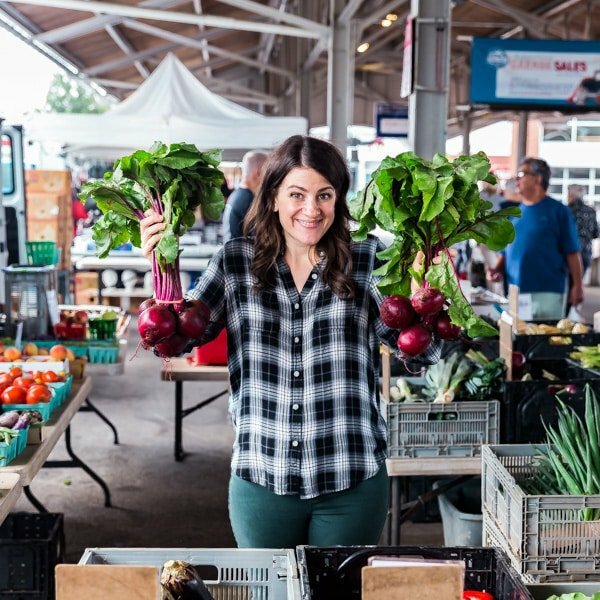 You’ll find killer food, live music and entertainment, agriculture events and exhibits, and a slew of other fun stuff to do and see. I cannot wait to bring my kids this year! We had a super fun time on our weekend getaway in Syracuse and cannot wait to return!